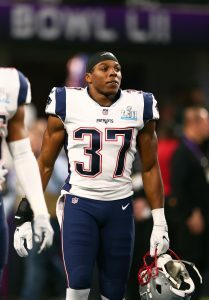 The Patriots have traded safety Jordan Richards to the Falcons, according to Jim McBride of the Boston Globe (on Twitter). The Patriots will receive a conditional 2020 seventh-round pick from Atlanta in the trade, Ian Rapoport of NFL.com tweets. With the roster deadline coming on Saturday, Richards apparently was not going to make the cut. Although he was a second-round pick in 2015, the strong safety hasn’t done much to impress over three years with the Pats. Last year, Richards appeared in all 16 games (five starts) and totaled 22 tackles plus one forced fumble. Pro Football Focus ranked Richards the No. 78 safety in the NFL last year out of 87 qualified players, so it’s not a total shock to see him jettisoned from New England. Assuming Richards makes the 53-man cut in Atlanta, he’ll serve as a reserve behind starting strong safety Ricardo Allen. The Falcons will start former first-round pick Keanu Neal at free safety with Ron Parker serving as the top backup.